As editors, we frequently find comments that we believe could be brilliant articles if expanded. And we wonder: if the brilliant members of the Awate Discussion Forum could articulate their ideas in such a manner, as comments, what would they produce if they spent some time to present their ideas in an article format! 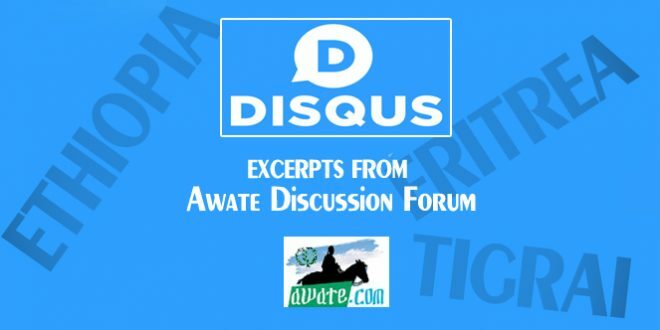 Today we bring you highlights of a debate that is raging at the Awate Discussion Forum because we thought our wider readership would benefit from them. We pulled the highlights from the comments under an article written By Beyan Negash: Myth, Politics, History, Religion, and Eritrean State. Please note that we have slightly edited some of the comments for flow and brevity. The Awate Team feels proud for hosting some of the best minds. My understanding of Ethiopia and its history was an empire run on relationships of kingship-subject and not ruler-citizenship. The coherence and strength of emperors at the center were crucial imperatives to sustain their rule; otherwise, any weakness entailed rebellion at the peripheries. That was why we read in Ethiopia history intermittent interregnums. At least from the decline and fall of the Zagwe’s at Lalibela led to the shrinking of the “togetherness” of the parts. Then you have the so-called restoration in 1270, and territorial expanse changing from one emperor to another depending on the state of power and control up to the centralization at Gonder. The collapse of Gonder brought the ruinous Zemene Mesafint until an ambitious warlord emerged from Quara and restored some sort of chaotic centralization. One could go on citing examples along the country’s historical narrative. Thus, if one is aware of such background, don’t you think the risk of another destructive interregnum was real in 1991 which the EPRDF under Meles Zenawi had avoided? We have heard of wars of independence and secession, especially in Africa and Europe, but usually, it is/was about regions that are resource-rich and developed and not regions that are/were in utter poverty like the rest, as in our case. Would Tigray have done any different today if she takes the way of independence? Nope! For good or bad, and for better or worse, Ethiopians are stuck together. Therefore, it is better that Ethiopians cut their narcissism in their poverty. One of the issues that you hear people talk about is that, what could’ve happened if TPLF went its way by breaking Tigray from Ethiopia-proper. Surprisingly, the hypothetical seems to bring people back to their senses as they cannot bear the scenario and tacitly they give credit to the man for opting otherwise. Lidetu Ayalew, to his credit, said something about TPLF when the Opposition remained clueless about the political reality in Ethiopia. He said the Opposition do not have an inkling about the nature of TPLF for it is the first step to be taken if one is to engage in the dynamics. Thing is, [some people] portray TPLF as a separate entity when the Front is part and parcel of the Tigrean people. In fact, if the Tigrean people remained suspicious of any Front including EDU and EPRP, it was a stellar success for TPLF to have the Tigrean people convinced about the very spirit of the Front. Hawzien is not only laughable but a classic scenario where a person of your caliber compromises his intellectual integrity. Not sure where you were when the Front had to help the people get to Sudan in rather dire circumstances when famine from above and a military junta here on Earth was determined to finish them off. And do you know what the Tigrean people said at that time? People with broader knowledge of Ethiopia’s diversity within the context of its complex imperial history do appreciate the imperatives needed to keep the country together. I remember we had exchanges with friends like Amde about the fluidity of the situation right after the collapse of the Derg regime, especially when the army disintegrated, and soldiers vanished into their respective ethnic enclaves. Consider what continuation of that void of authority at the center could have delivered. There is nothing that comes before unity when it comes to Ethiopians. Why do you think is putting TPLF agaEthiopians?ans ? “United Ethiopia” is what people telling the thugs. They don’t seem to get it, unfortunately. PMAA is bringing unity back to the front burner. That is why you see TPLF operators working overtime to discredit the PM . For a change try to see it from our side just as I grudgingly accepted your struggle for the independence of mountains and seas and camels…Hopefully, soon, will include people in the list. [This is a response regarding the hypothesis, and it is] basically that the late Ethiopian Prime Minister, Melles did a historic service by choosing to keep Tigray within Ethiopia and thus maintain the country’s unity. I think if this was an easy and viable option they would have done it, and I am convinced for a not-insignificant faction of the TPLF this has always been the preferred option. But it was impossible then as now. Independent Tigray would be too small and too weak. Tigray+Eritrea is a formula that looks nice on paper but dead on the ground as seen by the challenges of today’s movements [aspiring to realize that].. The country is so populous, large and diverse, center-periphery struggles are a natural feature of the system (to paraphrase Saay, I don’t think of this center-vs-periphery tension as a bug, but as a feature). “Center” was defined as basically whoever excelled at the art of the use of military force and intrigue to be the most powerful. But I think there is a qualitatively different political meaning to “the center” the since late 1800s and any period before. Basically, before the advent of the idea of government as an agent of modernization, a Neguse Negest [Kings of Kings] (the political expression of the united entity) was really interested in taxing his subjects and maintaining hegemonic position over the other princes. And that was really it. As late as the 1980s my own grandmother was astonished at the idea that government was responsible for the welfare of its citizens since she grew up and lived with the notion of that rulers were elected by God and subjects’ duty was to obey, pay taxes and otherwise fend for themselves–It is funny how such conversations gain more weight over time. The thing with modernization era is, whoever becomes the “center” takes over the modernizing mantle. That brings with it many goodies that make the center qualitatively much, much, more powerful than the periphery. Remember, for the most part, the historically contending units saw themselves as, more or less, equivalent in competing with each other in what mattered – political/dynastic alliances, peasants that can be dragged into war, weapons that can be bought. Who lost and who won was determined by the outcome of single battles or series of skirmishes. But by the time of Menelik’s, Shewa had access to what was available to sovereign powers. The battle of Segelle had an Air-Force for the Shewan side for example. That was just one of many benefits the center started to have that its competitors simply could not (issuing one’s own money, getting international loans/grants, centralized communication etc…). So inevitably the center got stronger throughout the past century. So TPLF (Tigray Peoples’ liberation Front) wins and enters Addis Ababa. If let’s say it decided to split from Ethiopia, it would be walking away from the tax revenue and other economic opportunities the center offers. Even if it decides to take whatever can be taken, that still leaves future cash flow for somebody else to benefit from. It makes sense then for it to stay and maximize its benefit from it. And once it decided to do that, it logically follows it will permit no competition internationally (leading to the currency spats leading to the Badme war), and domestically (virtual monopolies under state and party businesses). When you look at the economics of a modernizing center, it is overwhelmingly compelling to sustain and profit from it rather than destroy it and walk away from it. A long time ago an old official who worked in the Emperor’s government told me in his opinion all the units that want to secede cannot easily do so because they cannot afford it. I understand him better now. Literally, Ethiopia is worth a lot more than the sum of its constituent units. Hi All. BBC is now,giving Breaking News on Badme! Hip hip hooray! Shame on u for those of u supported injustice for long in our region, finally our region is on the right direction, thanks to the sacrifice by the ethiopian, eritrean people’s and Dr AAA. U guys r corrupted mind with egocentric, a burden for the society. I wish ur kind die soon . Am out and again f##k u. The news is refreshing, but you behave like some one with a perpetual bachelorette life. Come on pls , Ismail, Beyan , Amde and myself are not in that group. For your owns sake , you supposed to follow this forum correctly. Hi All! Congratulations to the Eritrean people! Now we will finally have the chance to see Eritrea grow and prosper. What a day!!!!! 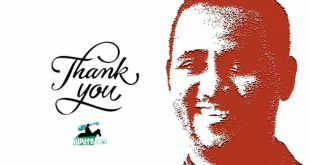 And thanks to PM Abiy! Hi halafi mengedi. With Ethiopia withdrawing from Badme, Eritrean relations will quickly be mended with Sudan. 1) Yes I mean everything in need of port service. What we have to do is develop a plan, offer competetive price, bid, then commite the service. All that –on the go. 2) the contemporary drought in Ethiopia is really stagering: a) in 1970-ies 30million population, out of which at least 4 million were under duress of drought and hunger. b) in 2018 you have 107million people out of which 20 million are hungry. The number of hungry people is outpacing the population growth rate. C) this most likely reason for this can be an inconsistent macro-and socioeconomic policy of the decission makers. Hi GitSAtSE. It is my prognosis that you are manifesting symptoms of hyperlexia and hypernumeracy which are likely the result of a cerebral infarction in the left anterior cingulate cortex and corpus callosum. I therefore suggest that you immediately take-up recreational use of sinsemilla (it’s gender friendly). Should you require assistance on how to properly smoke the sinsemilla, I will of course assist, but would only ask that you have ample buckets of buttered popcorn nearby. “We are doing just fine”, do you really understand the weight of these two sentences. It shows that you have no contact with the reality. Those who are happy and just fine are regime supporters who are deaf and blind to the plight of the eritrean people (open-end military service, shortage of basic items, constant electricity outages, enslavement, social disruption, life in refugee camps, death in high seas, human trafficking and organ harvesting, etc, just to remind you), and not those who are at the receiving end of the above inhuman treatment by the regime. One of the reasons for independence was to build eritrea by leasing the ports, and now you tell us that ethiopians are not worth to pay you their money, simply because you will never get it anymore. Funny. About the “food aid”, there is a simple solution, but ethiopia is not implementing it. That is to make the rest of ethiopia out of reach beyond 25km from the capital city, and nobody would know what happens behind the iron curtain, as the regime in asmara has done, and then deny everything. The chances are ethiopia will be able to feed her people in the future ahead of the north korea of the horn. Ethiopia is developing irrigation farming (she has the fertile lands and the rivers), and as her economy develops, she will be able to import food on top of what she produces, as many countries are doing. Up until then, it is not a bad idea to feed children through food aid, instead of leaving them stunted bodily and mentally, as the regime in eritrea is doing. You know you’re contradicting yourself, right? I suggest you read what you wrote again. Not only you contradicting yourself but also you making assumptions you have no knowledge about. You getting your information from Zionist control Global media. Nice try buddy. Like I told you before Eritrean people are way ahead of you. There was any kind of hunger in Eritrea believe me you would have known. The fact that you admitted your country still not feeling yourself is a testimony to your inability even to manage yourself let alone export food to us. Since the Great Famine of 1972 you have not fed yourself. That is almost 50 years old. We are able to do it in 15 years. I’m not saying eritrea’s milk and honey but we do way better than you. You get to 3 billion dollar cash money from America and England and EU. Add additional couple of billion dollars from World Bank, IMF and China. With all that you still have not be able to manage the economy. That’s why every other year you continues to borrow more money yay calling me have no traction. Your big projects that you borrow money to build from China then not making you money but you still have to pay the loan and the interest rate. Horizon that’s why I told you over and over again you know very little about your own country let alone Eritrea. We not blind, we have brothers in the military we have brother serving right now as we speak. It’s you, Ethiopians the scream war after War for the last 60 years. Finally the look like you accepted the agreement you should have been done 16 years ago. That’s how slow you guys are. Take care bro please take your time to learn about your own country I’m not mean that stay away from you never understand us ahead of you bro. Apparently, Ethi gov has decided to withdraw from badme. Will wait for confirmation, but quite interesting to say the least. News is confirmed. Now what? I just checked the satoshi – dollar conversion rate and Amde owes me $7.56387250. I would like it in clear, unmarked notes. I collect 500,000 satoshis from another guy who questioned if the SoE will be lifted. Today is a good day and I didn’t even have to use my AK. funny funny….as they say, hehimamka eyu. I am sure you ill donate the satoshis to eri-eth peace fund. Hi halafi mengedi. Yes! I see this incredibly good news breaking now! Peace and normalization of relations between Ethiopia and Eritrea will now become a reality. A celebration is in store. There is already dancing in the streets of Asmara. I admit, I didn’t excepted this. At most I expected Ethiopia to withdraw from all occupied areas except badme. Nevertheless, i think it is great news. But, great news, only in as much as there is reciprocal positive actions from Eritrea. Clapping is more effective with two hands. What do you think the gov of Eritrea should do (if any) to keep the momentum? Hi halafi mengedi. PIA will be ever cautious during the period prior to full Ethiopian withdrawal from Badme. However, during the time of withdrawal, he should show cordiality to PM Abiy and the Ethiopian Government and be pro-active in reestablishing diplomatic relations to include Ethiopian representation in Asmara. Ever think why Plato would contemplate about the number 60^4? And why the Phoneticians or the Sumerians before them be concerned about number values of Trillions? It is not like they had economies of today. Their economy dealt mostly with donkey driven carts of a lot smaller radius than today’s global economies. Well, you reminded me of Allen Greenspan saying “there is no such thing as real money.” Meaning there is no such thing as a debt of 1 Trillion. The zeros are not real. He is wrong of course as I use to wonder why they were paying me so much money for what I did. I often asked my self አምበር ዶ ‘ዚ ስራሕ ኢዩ? Stay tuned for 12 and 60 based arithmetic. And are you familiar with Gilgamesh? Hi Hope. You are indeed correct in that the Look Over There accusers are the worst abusers. For example, some issues such as misguided US policy and its influence in unfair UN santions against Eritrea, which have an adverse impact on Eritrea and her people, will never be openly discussed here. Just trust me I am no more challenger even to the enemy when I say so I just mean it..
“We should build our naval force capacity in the future.” PM Abiy seems to have said so. Participating in the development of port sudan, swapping shares with djibouti, acquiring a stake in the port of berbera and land at the port of lamu, seem to be part of the plan to build a navy in the future. Is this how things are going to work in the future – a regional trade and defense pact? interesting development. . Based on my reading in social media, the somalis are freaking out about this announcement more than eritreans. This is a blessing to Eritrea and it has to be done sooner than later . I believe Ethiopia has to go to Sudan and Somalia or Dijubuti to get naval base . A million years blessing to Eritrea at least we will get a break from the southern people and second we will mind our own business. Let’s hope the Somalians accepts the offer . I that, what you would reply? No good my friend, Everybody will disappointed now..You should be happy if Ethiopia will be peaceful as usual and go for farther development of uniting the area.. Yes Horizon “Is this how things are going to work in the future – a regional trade and defense pact?” just sometime more..
You don’t know what my wishes are yet ? Listen to me now . I don’t see any good thing with weyane land and I don’t imagine with shewa guys too. I see Ethiopia as a cliffhanger that is what Ethiopia is to Eritreans . Let the wall with Ethiopia reach a mile high so that we can sleep well with out looking our back from thieves that can speak our language and dress like us. Ethiopia is no good to Eritreans. I would have chosen an underground channel from Eritrea to Yemen ,Saudi and a fast train to Sudan as well as a mile high wall with Ethiopia. That’s what I thought I would have done. I am not someone like the heritage hunters and I am certainly not an Ethiopian leaders admirer . I wanted the Ethiopians to get so rich that they even forget that there is a country called Eritrea. They can get a large country with in their circle larger than the old Yogoslavia. Why is that? so cruel, to humans like you!!! Now listen to me and put it in your mind those ideas..
…Ethiopians are also nice people like you and me they have ethics and I have been in Ethiopia..Just enjoyed learning and playing while I was a little boy..
…Man gone mistaken, when he got an Identity,, you name it nationality or and any other form of identity. Man is in process of awakening where will take more time and years to come to one.. The only way out is to be relax and accept each other..
1) please don’t forget that the world we are in is perpetually in an interest contest. 2) If I were PIA, I will immediately offer PM-AAA (assuming it was not yet done) a port service facility for the Ethiopian Navy. 3) the funny thing about your writeup is you want to drive on Autobahn, while covering your eye; in such scenario mishap is eminent. Ahh the Autobahn… I doubt our brother Blink (ቀባሕ ባሕ) is a good Chess player or even plays at all. ኢትዮጵያ ን ምዕባሊኣን ንድሕነታን ዝኾነ ን’ሽቶ ወይ ዓቢ ስጉምቲ ወሰደት፥ ከም ዳማ ተጻዋታይ በርተግ ኢሉ ባሊቃኡ ይወርውር። ቸስ አንተ ዝመሃር ምሓሾ፡ ምስ ሓሾ ን ዑኡ ከኣ ምሓሸና። Now Kokhob Selam is a Chess player for sure! What would be the advantage of holding grudges and prolonging the enmity in enmity? I suppose Blink foresees an Eritrean Navy obliteration of ጃንዳ ወያነ future Ethiopian Naval forces. “Driving on autobahn while covering his eyes.” Man, this is a good expression. What does it say about you then ? A guy who cried for 58 years. It is no once fault sir . You are defeated and has no way to see your will accept it sir . Defeat is sour but swallow it . failure to eat wedi Aker in the old era costed you dearly and here you are wishing the sky to fall around your house so that you go again up . You are non existent sir , your visionary leader Meles vision is gone and so do your wishes . You will remain just dreaming about a lost cause with that you can do nothing about your vengeance attitude. We are moving away from your wishes. I pity you sir. German autobahns have no federally mandated speed limit for some classes of vehicles And for your surprise Mercedes and VW are trying their technology on these autobahns roads , in 2016 Mercedes tried their autopilot car technologies in Stuttgart for 4 km and there was no accident. Still the technology is working in the fracking oil drilling system on 100% efficiency and there is no single accident reported about this technology in the oil industry. Here is what is costing much money , people who failed to see the line and capacity in the pipe circle are making a huge environment damages and these people are likely people like you and Mr. Meles guy who ultimately are failures to be honest. Get a grip on your face because the side wind can misshape it. Yes, no speed limit on Autobahn. I drove often 200/250kmph; then. While doing that my eyes were open and big like 2x the size of my own head! Because–while at the steering wheel–it was up to me to build my future, (or cut things short). I said to certain classes of vehicles and these certain classes do not go 250 km/h. The fact that you come with such says all about your shifted face. There is no blessing for a country and its people if they isolate themselves from the rest of the world, especially their neighbors. One of the reasons for the fall of the communist bloc was due to isolation, even when as a group of many countries. The wwii that was due to nazi germany brought the death of about 50m people, and if you walk in european cities today anywhere in the continent, you will not hear a single european blaming germans for what their ancestors did, and there is no country in the world that does not want to work with germany. That is why i doubt that the reason for refusing any cooperation with ethiopia right away is due to badme or past injustices, which most of the time are put aside at least temporarily for the sake of peace and normality, as i said above, but it is mainly due to the fact that dia/pfdj see no power dividend or the essence of independence far from confrontation with ethiopia, despite the cost to eritrea and its people. This is a losing game, unfortunately, for the odds against such policy are too many, and remember you cannot say it is better “we” lose everything than gain anything from the ethiopians, for the “we” is not you or any other eritrean who lives in his comfort zone in the west, but the millions of eritreans, who are suffering over the last two decades under an authoritarian regime, and are forced to flee their country. Please, do not say that the authoritarian regime in eritrea is due to woyane or ethiopia, because the responsibility lies squarely with eritrean elites. I have observed that blink says things in a raw form. His utterances are unfiltered. He does not know how to say things in a politically correct way. His emotional outbursts and his views on Ethiopia comes from a deep reservoir of resentments. It is a form of religion originated and proselytized in the 60s. The tragedy is his blind rejection of anything Ethiopian is shared by a large contingent of Eritreans, that includes PIA and his lieutenants. Imagine the following scenario of a practical, normal behavior of a leader of Eritrea, whose main goal is the well being of his people. The NORMAL President of Eritrea in 1993. Radio Speech on Day 1 of Independence. Today we are an independent nation. We are recognized by the world. We are grateful to the U.N and all our neighbors. Ethiopia with whom we have a common beginning can rely on us as their closest blood relatives. We are building our independent institutions of Eritrea. We at the same time are working our common market with Ethiopia. We have a defense pact with Ethiopia. Any attack on one is an attack on the other. The 5 year plan mirroring the 5 year plan of Ethiopia will be anchored on infrastructure. The plan calls 5 to 10 years we will cooperate in working to build an electrified rail line connecting Gonder and Mekele to Asmara and Massawa. The 1st phase will be to connect the central and southern part of Ethiopia to Assab. Our economy is growing at a rapid pace and to accommodate and implement our specific monetary policy plans, we are introducing our own currency, NAKFA. Ethiopia and Eritrea have worked out an arrangement to settle our trades in hard currency. Our borders with Sudan, Ethiopia and Djibouti are now demarcated. It was accomplished with a long discussion of the affected residents and the brotherly governments. The Finance ministry reports that last year income from tourism related activities became the top earner of revenue for the national treasury. I got carried away. It really does look a normal behavior. However, the opposite reality had taken place, it cannot be changed, how tragic. Perhaps the next generation leaders will overcome that “religion” to work hard to make up for the wasted opportunity. Who knows. Which world was larger in the soviet era ? The west or the rest ? It was not about the isolation that communism failed it was due its excessive power over its population . You understood the Cold War totally in a wrong way . The economic structure was wrong so do the political structure. Eritrea after the dictator can and will do the almost of its numbers one resources away from southern eye popping diseases. What I am looking is for Abyi to totally remove Ethiopian eyes from Eritreans blue waters and spend his money on Somalia, Dijubuti, and Sudan to keep his naval forces away from Eritrea. Do you think PFDJ are isolated now ? You again are wrong . Eritrea can trade with any open mouth in the world at this time and there is no a single chain that PFDJ can not get . They can actually do everything they wish in the economic sector without any pressure from any one but the PFDJ economic policy is simply a failed one. Under normal circumstances even under PFDJ Eritrea could do much better with a structured economic policy but as usual PFDJ failed in every corner because as I told you they don’t not have the policy and the political will to improve the economic situation of Eritreans because if they do improve the control mechanism will drift away from their hand. So the notion Eritrea is isolated does not hold a fraction of water . If Abyi find a naval base is a million years blessing so that people like Kim will not drop an eye drop of cry due to their love for shewa history lies about Asseb and Abi can actually send his kids in to the Ethiopian naval base for training while you remain to brag about a land locked state that payed for a container ships and a naval base . I wish a great agreement to whom ever is the one offering. blink dear… you are right if this deal goes ,this will help loosen the temptation to steal neighbors property. I guess I will wait for you to respond in detail. Let me put it this way. Suppose you’re eating an 🍎. And someone asks you what the apple tastes like. What would you say? There is no way, you can explain the taste of an apple. What you do instead is, you ask the person to try it. There is no point in talking about the country this and that. It is just endless ኾለል. All I can say is, go and see it for yourself. I certainly had that in mind when I brought up the Apple thing. We are not arguing to win debates so to speak but to figure out what the facts are. Regime supporters can say go and see it for yourself but that is a small time gimmick to defend the indefensible. Don’t mean to go abstract on you, probabilistic approximations can work in the micro world, say, in the quantum world for there is no there or locality but processes. On the other hand, when we have tastebuds, why do we need Pear to talk about an Apple? Actually, linguists and structuralist think that nothing makes sense unless it is in relationship to others and unless it is within a given structure. For example, in the 24-word sentence I just wrote, if you re-organize the order of the words, it won’t make sense and, they say, what is true of language is true of everything else. So, in this case, you can’t understand apple, unless you know what a fruit is (which you only know in relation to vegetables, cereals…); you don’t know what tastebud is unless you know what taste is, etc, etc. I think that’s why iSem and Ghezae use the “Eritrea is the North Korea of Africa” short hand. Sorry for the belated reply. Was trying to catch a plane earlier today to fly to the east coast for my niece’s High School graduation this week. I am sure you see your young self in Samuel and that is not a bad thing. I have always been fascinated with the idea of understanding things not in themselves but by their relations with others. Enter Red Apple: How about we divide it into Red and and an Apple. Let’s see the Red thing for now and deal with Apple later on or on a separate thread. What is Red? An Awatista may ask. And another Awatista may say, it is just a color you ዳም ፉል. Red is not in fact a color, it is a frequency. As much as we get the illusion of color from light, light however is not continues, rather, it is a wave with distinct value of certain frequency. That is, the intensity of the color is not in its energy but in its frequency where Red has lower frequency with in the spectrum. It gains certain energy when the frequency is multiplied by Planck’s constant—E= hf where h is Planck’s constant. The Apple in this sense has electromagnetic manifestation when it’s color is quantized. Another Awatista might say, if light is both a wave and a particle, where does the color Red-particle of the Apple fit in? That is actually a good question. Suppose, you place a very small particle, say, around እንዳ እሰቲፋኖስ ሆቴል ኣብ ከረነ. Thing is though, according to Heisenberg’s Uncertainty principle, the more precise the location of the particle is around እንዳ እስቲፋኖስ, the more it’s momentum [Momentum is mass multiplied by velocity] becomes uncertain, and to compensate the uncertainty, the particle gains tremendous energy. According to the most famous Einstein’s equation, energy and mass are one and the same. The particle, due to its tremendous energy, it gets into a Black Hole where one hopes, it doesn’t swallow up the nearby Hotel. When you have infinite number of quantum particles aggregate, their effect cancels each other out and it gives us the thing we call reality as in the Red color. When the photons who do messaging of the electromagnetism roam around ceaselessly, they are only defined with respect to their relations with a nearby photon. And this approximation in tandem with interaction based on processes and relations, gives us the color of the Apple. There have been studies made of people who have been blind all their lives and suddenly could see and they were asked to explain what they saw and….our senses are not reliable witnesses (on things like depth perception) and this is why the structuralist claim that nothing seen without its relation to another makes sense to me. “Another awatista” though from the empire Big Apple State has Georgia Peach on his mind? Forget the sand dunes and probability of and the whereabouts of an electron or the Prof. P. We are certain he is in the east coast. E = M * (432)^4 for now. And the 1% error is due to the earth’s wobble or the mass of a RED peach in motion is greater than the mass of an RED Apple at rest. Funny. Yea that’s him. Buddy of the guy in Breaking Bad but almost 80 years earlier. Do you know what is so amazing, all the Quantum dudes, Heisenberg, Bohr, Dirac including Einstein, they were all in their 20s when they came up with all these revolutionary ideas which changed the world for good. On the fundamental level, it is all relations and processes. We would even think that, the relations and processes happen in some kind of space, but that too as in space itself is quantized. It doesn’t take any random number but distinct value like the frequency of the color. If this seemingly empty space is quantized, the question is, how small is the distinct length of the space where it can not get divisible any further? Get this, it is 10 to the power of minus 33. That is unbelievably small. And that is Planck’s length. At that deep level space-time breaks down. What replaces space-time though? Experts are still grappling with the question. It seems, it ought to be defined with its respective scales of reality if you will. When the Planck’s length is that small and the reality we live in is in the scale of 10 to the power of minus 5, all the rest of the universe [All the galaxies with all the big stars] is with in the scale of 10 to the power of plus 25. Why different scales but of the same symmetry though? Or to put it differently, when at the smallest scale, reality is about relations and processes, why doesn’t appear to us in those terms but in absolutes? That is the marvel and beauty of life to say the very least. Hi All. Now trending ‘China scales back investment in Ethiopia’. The favourite song now being played by the TPLF is an old Steve Miller track titled ‘Take the Money and Run’. That is not the worest part my friend. Even on a good day doing business with china is not the greatest. Just about all there project in ethiopia is run by Chinese for the first 5 years. Most of if not all the job is done by Chinese. Worest some of the stay in ethiopia and engage in other business where they have a compatetive advantage. The same stuff happens in west Africa. Specially Ghana, country i am familiar with, super nice and smart people but not nationalist. The worest yet to come. Massive ethnic hatred against tgrai people. Many who benefited from the corrupt system are sending there money and kides overseas. Hi @george. You are indeed correct in what you said. It is incredible how the Chinese have now established themselves in Ethiopia, as evidenced by the thousands of half-cast Chinopean children now seen on the streets of Addis Ababa. and the China Town that has sprouted up near Bole Japan area. I too have seen the same in Ghana. ኣየ ጋንታ Hey-look-over-there! ኣይትደኽሙን ዲኹም ? Do me a favor Hope, and go to the source: http://popstats.unhcr.org/en/persons_of_concern. For country of origin, pick Eritrea; and for country/territory of asylum/residence, pick all. Then export to CSV (Excel) and then add the numbers. As of 2016, the most recent data UNHCR has, the total Eritrean persons of concern registered by UNHCR was 523,701. (Remember, these are just the people UNHCR is aware of.) Now, since your government told us the Eritrean population in Eritrea is 3.56 million , that would make the Eritrean people of concern to be 14.7% of the Eritrean population in Eritrea. Now, even if you assume that half of those people claiming to be Eritreans are actually not Eritreans, that would make the Eritrean persons of concern (refugees, asylum seekers) to be 7.35%. There is just no country which is not in the middle of a devastating war (Syria, Yemen), that has those kinds of numbers. So face the facts, instead of being a victim of government propaganda. The most insidious thing about totalitarian government propaganda is those who repeat it don’t know it is: they really think they are are factual, call a spade-a-spade type. 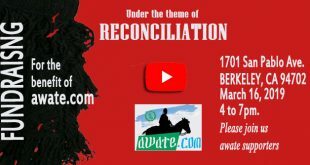 “The gratitudes of king Issaias is simply enough to characterize you and anyone as paid weyane agents “ What do you think? I laughed just in the middle of vast open office and a chines guy beside me looking as if I am having fun with game. Hi saay7. Do you fully understand the meaning of UNHCR’s ‘Persons of Concern’ classification? It is the loosest of UNHCR’s classification categories and the most prone to abuse. Given that said, we know the number of Eritreans leaving the country is significant. It would be difficult NOT to understand the meaning of UNHCR’s “Persons of concern” because UNHCR tells you in the report. It is: Refugees (incl. refugee-like situations); Asylum-seekers (pending cases);Returned refugees (NONE for Eritrea); Internally displaced persons (IDPs) (NONE for Eritrea); Returned IDPs (NONE for Eritrea),Stateless persons (NONE for Eritrea) and	Others of concern (NONE for Eritrea.) So, when it comes to Eritrea, “Persons of concern” means refugees and asylum seekers. In June 2015, when the Hurman Rights Council issued its CoI report, it based it on the most recent UNHCR data (mid-2014) which was then 357,406 and the CoI reported that “depending on estimates of the current population, this would constitute between 6 per cent and 10 per cent of the national population.” Well. We now know the Eritrean population is 3.65 million, and we now know that between mid-2014 and 2016, the Eritrean persons of concern jumped from 357,406 to 523,701. So, despite the screeching from the Gov of Eritrea and its echo chamber, the HRC was right (it was 10% then) and it is now even worse….but, by all means, nKHID TRAY! Hi saay7. You are simply wrong as UNHCR categorizes ‘Refugees’ clearly separate from ‘Persons of Concern’ for their legal status and rights of protection are completely different, as is their implied host country status. UNHCR’s refugee registration process usually entails three phases: 1) Phase-1 wherein individuals pass through basic processing and data collection; 2) Phase -2 wherein additional data is collected and individuals are fingerprinted; and 3) Phase-3 wherein biometric data and photograph IDs are processed; this last phase screens out those who attemp to register more than once in effort to receive multiple assistance packages. Persons of Concern are those who are neither under refugee phase processing nor are they Bona Fide refugees. UNHCR over the past few years has come under much criticism from the donor community for overestimating Persons of Concern by mainly including host populations and economic migrants. There is a reason why Eritrean refugee camps in Tigray are empty and known as ghost camps, even though UNHCR for budgetary and appeal processes, still maintains on paper high camp refugee numbers. The rest of your info is more look-over-there-ism, designed to absolve the government of the crisis it has created and blame everyone, including UNHCR. If anything, when it comes to Eritrea, UNHCR undercounts them because Eritreans know once they are registered at A, they can’t ask for asylum at B and they are in the shadows and unregistered for long periods. The next state to watch is Eritreans in Egypt which is already at 7,132 largely due to influx of Eritreans made unwelcome by Saudi Arabia—-and these are Eritreans who can’t go home. Hi saay7 your source may be UNHCR but your interpretation is simply wrong. I know for a fact that Refugees and Persons of Concern have different legal status and are therefore categorized differently; not only by the UNHCR but the entire UN system. I really know what I am talking about in this regard. UNHCR underestimating numbers? Say that to anyone working for one of the UN specialized agencies and they will laugh at you. It is always to UNHCR’s interest to overestimate refugee numbers as it allows them to appeal to donors for more money. If you are saying UNHCR is like all GOs and NGOs directed by funding interests and thus has an interest in inflating numbers, welcome to the real world. What I am saying is that when it comes to Eritreans (which is our topic here), it has always undercounted them. For example, in the mid-1990s, when there were tens if not hundreds of thousands of Eritreans in Sudan, it said that for its purposes their case is closed. I can’t keep repeating myself on the definition of “persons of concern” and I don’t know what is it you are claiming I am interpreting wrong? What UNHCR is saying (again, its own definition) is that refugees (including those in refugee-like status) and asylum seekers whose case is open (pending cases) are a subset of persons of concern. What matters is not the definition but it’s relative application. If, using the exact same definition for all countries, Eritrea still produces the highest peace time outflow of its citizens PER CAPITA, shouldn’t that be the emphasis? Hi saay7. Regarding Eritreans in Sudan in the mid-90s, large numbers enrolled in UNHCR’s Voluntary Repatriation Program (VOLREP) and received resettlement packages only to travel to Eritrea and thereafter return to Sudan. For others who were unwilling to enroll in the VOLREP, a succession clause, in agreement between UNHCR and the Sudanese Government, was put into effect. That is the reason why UNHCR could not play with the numbers. Hi Saay7. I forgot to mention that with almost any large scale refugee operation, there a a certain percentage of refugees who once registered, later spontaneously return to their country of origin; sometimes moving back-and-forth accross borders and recycling through the system. In the case of Eritrean refugees, in that UNHCR and IOM are not allowed access to Eritrean border crossing points, we have no idea what that number may be. Hi saay7. Now I understand the confusion. Persons of concern to UNHCR , is different from UNHCR”s categorization system. Refugeess, Asylum Seakers and other Persons of Concern while all are ‘Persons of Concern to UNHCR’, are clearly separate classification categories. Let’s see if we can advance the conversation a bit. Since Eritrea is not in a state of war and there are no IDPs, and since Eritrea’s condition for repatriating refugees is arbitrary (pay us 50k, sign a regret letter and express your willingness to accept any punishment from your govt etc), then the only two subsets I am focused on are those UNHCR has real numbers for: refugees (and refugee-like) and asylum seekers whose case is pending. And on those, even if you extrapolate the Austrian ambassadors claim as applicable to all countries and not just Austria, even if you discount the persons of concern by 50%, Eritrea on a per capita basis, has one of the highest migration rates in the world. This is the ugly fact that the government and its supporters spend a great deal of time dancing around. Hi saay7.I am not saying I was wrong as my original question to you was specific to the Classification of Persons of Concern and not what Persons of Concenr to UNHCR includes. Anyways, I will drop it there. Advancing on, illegal occupation of a sovereign state, in part or whole, by a foreign power, is in itself an act of war. Hi saay7. Forgot to add,yes of course, if is evervescently clear that Eritrea has an extremely high migration rate. Of special concern is the brain-drain migration that has occurred since the Ethio-Eri war. Let’s say XYZ Media reports that Flight 602 MLN Airlines crashed and all 544 passengers on board died. 1. Can we really trust XYZ Media? Weren’t they wrong about something something something? 2. Why the focus on Flight 602? How about Flight 603 that landed safely? 3. Why are you so biased against MLN Airlines? Why don’t you talk about OPQ Airlines? 4. What about the report that about the stingray missiles that hostile quarter RST, near the crash site, had? It goes on and on like that with nary a pause about the 544 passengers. Here we are in 2018, with a massive number of our people leaving Eritrea and it is a “by the way” to the “look over there” team. Just read the post of Hope. Hi saay7. The difference is that on the flight that crashed, 170 passengers out of the 544 actually survived. However, you simply wish to believe the worst without attempting to verify the facts and are content with a single unreliable media source. While there is high migration out of Eritrea, UNHCR data is simply exaggerated and lacks veracity. [13 3 2 16] <— integers 1,4,13 16 their sum 34. On 1.6.18 (the golden ratio), I expected you to say ወርቃዊት መጠን in honor of Fibonacci. You know my history: in music theory for sound engineers chapter 1 is ohms law and for composers it’s Fibonacci and the golden ratio. The selection of the flight number, name of the airline, destination is all linear designed to indicate randomness. By the way, do you remember Neos apartment number and Sherlock’s? I don’t remember their significance but I remember thinking it was. I had to look them up… Neo’s is 101 which is easy binary for 5. Sherlock’s 221 I don’t know why you would think it is significant but maybe it is prime – sleepy now. But 101 or 5th is significant in harmonics. Also, first I thought of George Ohm’s law i = V/R from my ECE days BUT now that I am concerned with tuning A at 432 rather than at 440, thanks for pointing me in the direction of Ohm’s Acoustic Law. Your mentioning it on your comment is very significant. I just called Amb Shin . He said he missed talking to you. He also wants you to remember the next meeting at his place. He is kind of disappointed as you missed the last meeting. I read erigazetta just to find someone different from the heritage hunters we have in this site . Today I read one article written by Ghirmay Yemane . The article is written in Tigrinya and I cannot say I understood it fully but I think I do understand the main content of it . Most part of the article is focused to the 1980 problem of the two Eritreans organizations. The writer gave it all to explain that there are people from that era who are hell bent to get in to power through any means even by collaborating with dead weyane. One of the lines that catch my eyes completely matched with someone vision and view. The views narrated by one of awate forumer matched exactly what Ghirmay said and that is , some people has been in the opposition for 40 years and even after independence they did not accept Eritrea’s independence and they were rooted to evil doing and from that day they have been active in throwing every single evil plan at Eritreans. 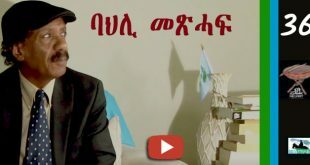 Here is Ghirmay saying ኣርባዓ ዓመት ዘይተጠርነፈ ተቃዋሚ ብሕጂ ተጠርኒፉ ንህዝባዊ ግንባር (history ) የዕንዩ ካብ ስደት ተመሊሱ ሃገር ከማሓድር ህበይ ናብ ሰብ ክቅየር ይቀልል። where do the word shifta and many other things come from ? Who are these supporting this shameful lies ? Some of them are old at their 70th and some of them are young recruited by these old men to tell lies about Eritreans in hand shale with weyane , as usual they are all going nuts . 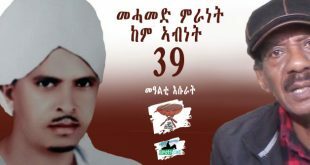 ዋላ ኤርትራ ሃገርና ነጻ ወጺኣ’ውን ነቲ ብህዝባዊ ግንባር ዝተረኽበ ዓወት ዘይተዋሕጠሎም ብዙሓት እዮም። Can we guess these people voted NO to independence in 1993 ? I would guess . 1) Vote fur ref was 99.8. So you are talking about .2% of the population, that you are assuming. Even though that number could be of the people who made errors in their votes (a lot of illiterate people who were using the Color to vote (may even be Color blinded). In any case, why make an issue of such a small number, even if people vote NO genuinely there is nothing wrong. It’s called MirCha for a reason (it’s a choice). 2) the most important of the article is, recognizing ERITREAN opposition do exist. Unlike the past where IA, use to claim we have no opposition. And finally, blink surviving Tedros punches, turns again his attention, no where else but the ERITREAN opposition. Here is advice fir you. Let’s forget the .02 percent. Let’s forgets the opposition who could not organize themselves for the past 40 years. Can you at least (EPLF/ PFDJ) who is in power for 27 years as government, and 20 years (since 1981) as the only front for a total of 47 years, compare itself like others governments in the region. Rwanda, Ethiopia, Somalia, Sudan, Uganda, Djibouti ???? At least make the country like the others in the Horn and let the people live in peace without being chased, chained, tortured, disappeared, and killed by their own government. BTW, please stop blaming others for your own failures. On your number one point, yes no vote by mistake is probably the one that make it 0.02 minus from 100%. On your second point Teodrose was just confused about how people set things and that confusion lead him to suspect for me as weyane cadre and he was really off the mark by 180 degree . On your third point I don’t entertain the idea that PFDJ is doing great work so you better find someone to take you somewhere with your request. Finally , you agree with Ghirmay that these opposition for 40 years were and still aren’t refined one to claim anything except put some packs from there and there . I have said it before and I will say it again, you have a target who you want to attack, it’s the ERITREAN opposition. The PFDJ denied them to enter their country and live in peace, a country they claim got its freedom and independence. Not only that, now you want to blame for the NO votes? I don’t know who this Ghirmay guy is this, does he actually think, anyone can run against the bad record of the PFDJ government and lose? What ONE good the PFDJ has done they the people can support for it. As to the opposition, they are men and women of principle. It doesn’t matter their numbers, it doesn’t matter what they have achieved or not, they know, their hands is clean, their concise is clear and their mind is at peace. You know why, unlike the PFDJ or who ever this Ghirmay is, Aedawom bdem ertrawyan ayeteChemaleqen. Are you sure about the hand ? I mean can you say 100% that their hand is clean ? I am not talking about the sagim guys and I am not even naming the Fifth line not even the weyane tank guys and not necessarily kerenolos too . I mean no one is denying the PFDJ are all inked in the killings and arresting but since you are completely off the line I will not drag you to go there . If the opposition parties have a principle and clean hand we would have debated about sound investment of Massawa or Asseb property. Yes their hands are clean. In the 20 years that I have been following the ERITREAN politics, I have not heard any accusation, testimony of any crimes by independent Eritreans, except the allegation here and there by the regime or their sympatisizers. Investment in Massawa and Asab, well you should go and ask etom sen merietn, sen baHrim, enda HGDEF mendef, deqi eryray. Just out of curiosity because you seem to hold old picture of Eritrea and Eritreans the same as aboy Amanuel awuraja kind of. Can you please elaborate? I don’t understand what you are asking? I don’t know what exactly you mean same as “Aboy Amanuel awuraja”. After you define what you mean, then can please give me specific examples based on what I wrote or said. What i asked is just to know when was the last time you was in Eritrea because it really is important to determine if your views . Have you ever been to Eritrea in the last 10 years ? Why all the HibebE? Why can’t you own what you were after. To answer your question, YES I have. There is always this common mistakes, regarding the population vs those who votes in the referendum. The 99.8% is out from those who cast their votes (yes or no). It is not from the total population. As to how many Eritreans didn’t cast their votes, no one knows it. So when we talk about the %s, we should make it sure from those who cast their votes. For instances there were about 350, 000 Eritreans who reside in Ethiopia at the time of referendum. Only 57,000 have casted their votes. Just to correct you. I was just responding blink, who is accusing the opposition of the NO vote. Thank you for sharing. I know people like you have been warning us about enda gnbar for a long time but sometimes we learn the hard way. It’s better late than never and they truly are exposed now. No body falls for their shitara now, except those who are in the same circle as them. The so called powerful tplf and eplf tigrians could have wiped out one another already in 1995 leaving the rest of peace loving and not power monger nations and nationalities in peace. And Tigray could have been number two next to Eritrea in exporting refugee to the rest of the world. Hi Mitiku Melesse. Nah…the TPLF was too busy corruptly filling their pockets full of money at the expense of other Ethiopians and grabbing land in every corner of Ethiopia, while milking and creating further dependency on the humanitarian aid machine. The fruits of the TPLF are now being felt: 1) Critical cash reserves, 2) Illicit ownership/control of more than 90% of investment land, 3) Complete control over military and security apparatus, 4) Ethnic division vied Zenawism, and 5) High levels of mass exodus from the country. Of course, I take it you are living in paradiso Ethiopia. Don’t you have any other thing to say except recycling the same stuff 24/7? Hi Paulos. Yea…I guess I can sit back and listen to you tell us more on how developed and beautiful Adigrat and Mekelle are; though these days you are being a bit low-keyed on that side. Incredible how an Eritrean such as yourself has been freely able to travel throughout Tigray region! Do you have kinship with Hayat Adem? Back in early1999, when the TPLF was conducting mass deportation of Eritreans, there were a few ‘special’ Eritreans that were never touched as they were clearly know to known to have not supported Eritrean Independence. Not sure where you get your “facts” from. There are no check-points in Tigrai and in the entire nation for that matter. Whether you are Eritrean or any other nationality, you can travel freely anywhere and everywhere. If your conscience is clean, go and see it for yourself. You disappointed me for not paying attention! Mr Fishmilk or Kalihari Snake or Blue Asmara knows Addis and the rest of the country better than anybody else. He will tell you where to find the best kitfo in Addis. His Favorite is Ayelech Kitfo at haya hulet mazorya. He likes Castelli for Italian except for the high price. My point is you don’t have to prove anything to this serpent since he knows the country in and out! Associate comments with nicknames. Don’t fall for Snake traps. Hi Paulos. You lose ALL credibility when you make the outrageous statement that ‘There are no check-points in Tigray and in the entire nation for that matter’. once you name TPLF , he will always flare up with un imaginable anger . You are lucky he didn’t insult you .The guy thinks he can fool people acting like he does. Can we talk…..why such negativity and ill will. Let me put a few points for you to ponder. Unfortunately, I got to run. A) In 2018, we just had our 2nd (SECOND) peaceful transfer of power. B) Ethiopia completed a mega billion dollars, electrified railway from the center of the country to Djibouti. C) Ethiopia completed several Big Dams for electricity, not only for ourselves, but to export and make money for generations to come. F) More factories (and universities) in every part of the country…..Am I making you all angry? I will stop. Yes sure, the newly ‘elected’ by the people 🙂 PM released all the political prisoners (thousands of them if not hundred thousand) who opposed Tigray first policy while making the other ethnic eat one another. Maybe this is what mislead you i mean Tigray and tigres happy happy and who cares for the rest. The country was open prison for none-tigre peoples. And you a graduate of Dedebit night school in majoring spread hate among none-tigre ethnic groups picked your favorite ethnic Somalis for now because they are your new victims and making war with Oromos. From both ethnic groups million are displaced. This is your new strategy since the Oromos and Amharas say no hatred from woyane can divide us. PS… the new leader speech sounds as if we were under brutal dictator for the last 27 years, except Tigray off course. What confuses us is that he is from the same party which won the election by 100%. Your list is shows how woyane justifies the billions dollars borrowed in the name of 100 million Ethiopians and serve the chosen 6 millions. I hope i make you happy. Peaceful power transfer you call it. Ya, from a tigre point of view. Nor from the rest. When people die in thousands and hundred thousands ended up in prison, and declaring state of emergency like yearly festivals we dont call it peaceful in the rest of the country like in Tigray. You know how Tigray benefits from the emergency thanks to Woyane. I read your comment. I was somewhat disappointed. I made a small list to establish factual basis that is obvious to everyone. When I hear Ethiopia borrowed billions of dollars and did the listed major projects for the benefit of Mekele, all I can do is acknowledge the disconnect and move on. To ask for explanation or seek clarification at this point would lead only to a twisted logic and or name calling. I certainly do not want to defend the excesses of the government or the corruption that went along with it. All I was attempting to point out was that a lot of positive things are happening in Ethiopia. That fact must be acknowledged and appreciated. Eritrea is not number one for refugees going to other countries. Eritreans are one of the top 10 countries that go to Europe but it’s is misleading to state they are the top. Ethiopians leave in more numbers to other countries than Eritreans because they go in big numbers to Yemen, South Africa and Arab countries. So know your numbers before you write something that is untrue and biased. Hi Hope. Had there not been the stupid Ethiopia-Eri war and subsequent Ethiopian illegal occupation of Badme, unfair U.N. sanctions, constant Ethiopian military offensives on Eritrea, and the economic strangulation strategy or Ethiopia and the West; I am sure that Eritrea’s economy would now be prospering. Wow hope, you surprised me there. I couldn’t agree more. One thing to add though you see his party eprdf chose him after careful deliberation to the highest post In hos land. In your rush not give credit to the eprdf you be forgetting he was trained nurtured and raised to the premiership by none other than eprof. Be fair. Can’t you see you won’t hold a candle to the doc or adigrat. No-one pays attention to the unfruitful things you say. R u trying to defend the proud molester just because clan affiliation, it is hot here for crazy man, stay away. Dr my feet. Just let us talk frankly, is it wrong to say 70% of the political stuffs in Asmara or Mekele are from the above two sources? Mez- I don’t know what you responding to… your response is cryptic. I don’t know what 70% stuff you are talking about or what exactly you referring to. So, it is hard for me to respond. I don’t know what you are reading. I didn’t say anything negative except specify what is doing. I don’t understand your comment. He definitely has set a tone that says he has a potential to be an effective leader. By the way, if this wasn’t the horn- what he is doing is normal by international standard… job of national leader is unify and bring the country together. The problem in Horn is we don’t know what an effective leader is… we still have feudal perception of leadership. Let’s calm down a little… obviously he doesn’t have baggage of Meles, menguistu, etc.. but saying he has achieved something no ethiopian leader achieve in 60 days- is actually not saying much! Only thing I am picking up so far is he is an effective communicator( he has set tone and communicated his message with words and conduct). Effective leader’s words and conduct match. If you consider yourself intellectually “among the dinosaurs,” those class of intellectuals do not descend into low class rogue talks to undermine their fellow human being. I don’t consider myself an intellectual. I have not produced any intellectual relevant work yet. I am not trying to undermine anyone. I believe in constructive criticism and It is important to be honest as long as you provide supporting material. I don’t like dogma of religious or political or any nature. When about 80%+ of population was born after 1990 why should they suffer due to lack of leadership skill and mediocre decision made from generation 50 years ago? Especially when it is destructive and stupid! Why does that generation that create problem want to pass the poison to next generation? How myopic and stupid is that? Why don’t you provide healthy clean water and push the future generation rebuild the Horn into Aksum glory? That is what Chinese are doing, Japanese, Korean, most of developed or developing world… but we want to be stuck about some destructive or short-sighted decision made 60 or 70 years ago? Power is not handed on a sliver platter. Power politics should be snatched by power. The young generation should be organized and mobilized to take the stock of their nations. Since organization is an instrument of power, only organized people can win. So if you are from the young generation of Eritrean or Ethiopian, know your mission and do your home work. Whining and insulting such as “cognitively malnourished ex-guerrilla fighters” doesn’t elicit conversational tricks of maneuvering nor does it gravitate the young generation to organize. People of action do not spend their time on talking. 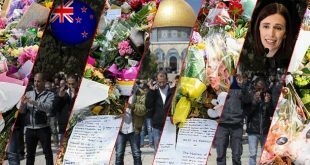 They spend their time on organizing, mobilizing, and strategizing to win the battles peacefully if situations permits or violently if it doesn’t. So complaining only doesn’t do the trick. You said, “….Power is not handed over on a silver platter.” What is power to you or how do you define power? (a) According Foucault, power has “structural expression” for any given social setting that requires both constraint and enablements. Real power will always rely on the ignorance of its agents. (b) According Gramsci – power is created from cultural hegemony and as result he conceptualized hegemony as “centaur” consisting of two halves (i) the back-end which is the beast represent material image of power through coercion and brute force, be it physical or economic (ii) the front-end could represent the human face projecting power through consent. Power has ideological significance in it to consolidate the power structure of the ruling elites. (c) According Galbraith – power is (i) “Condign” based on force (ii) “compensatory” through various resources. (d) According Gene Sharp – Political power is the power of any state regardless of its particular structure of organization that ultimately derived from the subjects of the state. This fundamental power structure relies upon the subject’s obedience to the order of rulers. (e) According Bjorn Kraus – the distinction and proportion of power has identified it by splitting in to (i) instructive power – to determine the actions and thought of others (ii) destructive power – to diminish the opportunities of others. Thank you for the interesting take on the issue of power. I am vaguely familiar with the three thinkers you mentioned–Foucault, Gramsci and Galbraith [If that is the same person–Economist.] The rest, I am not. Keeping that in mind, I am in a middle of something right now and will try to comment on it later on. Thanks again. Had a long day and I am completely beat. We should pick it up next time around. Sorry about that. Took a power nap and will try to jot down a few points here and there. It seems to me, power becomes rather problematic when it is conceptualized on its own where it gets rather more meaningful when it is defined with respect to something else instead, relational or relative if you will. What is more interesting is, the fact that, power becomes authoritative when it owns legitimacy. Here is the paradox: If authority and power are interchangeable, and if people are giving a consent to have their behavior, attitude and free-will be regulated according to the norms of the power be [Gremisci? ], isn’t that tantamount to power becoming coercive? To be more precise, where does the threshold lies so that power remains benign? More over, if power is defined with respect to something else, should we assume then, there ought to be absolute power? Absolue power that can be used as a reference point so that, power can gain certain parameters akin to Theory of Relativity in Physics. I ask to be excused for getting carried away. If for instance, light or the speed of light is the absolute and used as a reference point in the physical world, authority is the absolute reference point where power is calibrated with certain parameters or with in normal ranges. I am trying to see the philosophical aspect of power as opposed to its cultural or political aspect. Hope you got my drift. Hi Amanuel Hidrat. PM Abiy was handed power on a silver platter simply because he was an Oromo. Had there been a free general election, it is highly unlikely that he would have been elected. Good thing is that PM Abiy has a chance to do well. However, let’s face it, he was selected as a lifesaving bandage for the TPLF and the EPRDF. No brother. He was elected after tumultuous debate within EPRDF for three months and competing with other candidates. The regular election cycle is in 2020. He is only finishing the remaining years of the term. The current term belong to EPRDF, and EPRDF elected him. But, we know what you were saying when the PM is from Tigray. We also know what you were saying when the PM is from southern state (HD). And now when he is from the Oromo, you are saying, he is given on sliver platter. At least, unlike us with one despot for 27 years, the Ethiopian people are experiencing with different PM from different states (Kilils). Hi Amanuel Hidrat and thanks for your reply. Indeed 27 years is too long for one leader to be in power. California accounts for about 10% of us economy. Not 5th in the world. Hi Mez. Abdulworld is correct. California now has the world”s 5th largest economy if one calculates its economic ranking as if it were a country. You may refer to a related article in the May 5th edition of USA today. Both abdulworld and Mez are right. Kinda. California accounts for 13% of US economy, and it’s the 5th largest economy in the world. What’s amazing is that it has significantly fewer population than the 3rd (Germany) and 4th (UK) largest economies. I think now china took 2nd position and Japan 3rd and than German and uk and than cali is 6th now. The saddest part non of those countries is African. California’s economy of $2.7 trillion sits behind the United States, China, Japan and Germany . So that you know Abdulworld is right and you are wrong. Tigray with a population of 7million ++, can not be easily ignored. Important national wars were also fought there. To be ignored going all an engine of Ethiopia is really a very big distance to look at . Remember Ethiopia and wars are both sides of a coin . Ethiopian leaders can not rule their people without wars , they are even looking at Naval base somewhere . I love this Naval Base idea. Once qey bahir is returned to the rightful owners in due time, the next step will be building the Naval Base and bring Assab port to international standards. We will send you the invoices for building and maintaining Assab. In the meantime please remove all the camels from the surrounding areas. Everybody has a right to dream. Some dreams are more than likely to come to reality than other Hopeless dreams. That’s a big dream but at this time it will require more sacrifices from people like you to send your kids from diaspora in order to fill the fertilizer requirements for the base . Remember Dergi built one of the best naval forces ever assembled in the black continent. What happened to the other people called Berkele , Ayele, kibru, Gedafa . Hear me here , we used to have local songs that starts with “ Mis beal ayele mis beal bekele kinrabareb ena kisab nifelale. I pity these died nameless, stateless and recordless souls . I am happy to repeat it if you can send your kids. I will gladly enjoy that scene. A an Ethiopian military general ordered by remote control is no fit to build naval base around Eritrea . “….thinking is residue of 60s/70s…”. How true you are in your observation. Heard of CRISPR? It is the new big deal in Science, particularly in Genetics. Been meaning to comment on it but kept forgetting. I just saw in one of the Ethiopian websites, a news item to that effect and thought maybe I should say few interesting stuff about it. Feel free to pass it over and land on political thing if your yawning-O-meter has gone amoke. First, a couple of historical contexts. I am sure some of you remember Jean Baptiste Lamarck from grade 8 Biology. Yea that French guy who was known with the idea of “Acquired Characteristics” when he postulated that, “Acquired Characteristics Can Be Inherited.” In fact, if you remember, the classic example for his postulate was the long neck of a Giraffe. The length of the neck was acquired when the Giraffe tried to reach the leafs of tall trees, hence “Acquired.” Well, later on, the theory was proven to be wrong where traits are the products of evolutionary pressures through adaptation to the changing environment instead. Random mutation if you will over generations that is. CRISPR seems to vindicate Lamarckian theory as in ንኹሉ ጊዜ’ለዎ ከምዝባሃል. What exactly is CRISPR though? Maybe we should back up a bit before we go full length. In the 80s, a Japanese guy observed some thing strange with in the DNA sequence of a bacteria—E.coli. He saw a certain length of REPEATED sequence of DNA bases INTERSPERSED with in the main hereditary DNA of the bacteria. As you have already guessed, CRISPR stands for “Clustered Regularly Interspaced Short Palindromic Repeats.” Palindromic means something that sounds the same when you read it forward and backward, “Madam” for instance. The thing about the repeated DNA is though, it is always accompanied by an enzyme. And of course, this particular enzyme is a lethal weapon and it shreds anything that looks foreign to the body as in strange or foreign to the bacteria in this case. Even though some bacteria and almost all the viruses are our sworn enemies, the thing is, bacteria and viruses are enemies to each other too. That in mind, years later, a smart dude noticed something that looks almost identical to the CRISPR. The thing that he saw is a viral DNA as in DNA of a virus. The CRISPR and the DNA in a virus are one and the same. And another clever dude suspected that, the bacteria must have gotten it from a virus when the latter was trying to attack the former. Basic stuff about the Immune System: The active immune system as opposed to the passive immune system works by retaining a memory about the invading microbes. For example, what the immune system does is, after it killed the microorganism, it would retain part of the killed organism so that when when another organism of the same type attacks the body, the body would recognize it through the previous fragments it already has. Pretty much similar with the idea of vaccination. And that is exactly what the bacteria does with the CRISPR. It uses it to protect itself from the virus. You maybe curious to know how the bacteria got the CRISPR in the first place. Well, you remember the enzyme that goes with it? The enzyme helps to chop the DNA of the virus and incorporate it into the bacteria. The strength of the CRISPR gets better and better from generation to generation and that sounds pretty much like Lamarckian. Doesn’t it? Clever people are using the same idea in gene editing where they can cut any DNA [Possibly bad DNA as in cancer] by using CRISPR and it’s “Lethal Weapon 4” buddy enzyme. You never are boring. Very interesting, thanks. Ha ha Paulos ኞኞ. 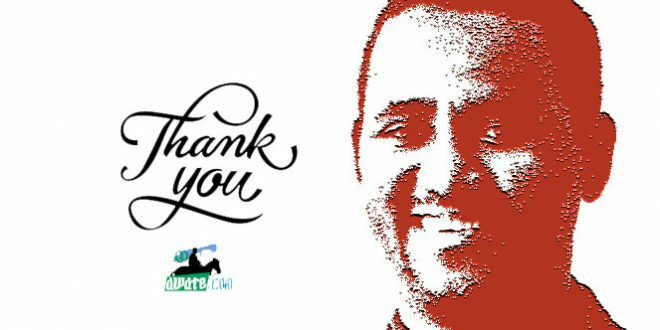 Thank you ክቡር ሐው. Of course, the whole idea is to inspire the younger generation so that they remain curious about the sciences and knowledge in general. The Greek says Philadelphia. And in that spirit I say to all of you brothers and sisters HAPPY PHI DAY! HAPPY 1.618 on 1/6/18. The Admiral Saay’7 healthy parsing respected, allow me further to share my little knowledge in the luQa HaQe Hisab. Plato told us about the sovereign number, 60^4 = 12,960,000 …. ይቕጽል፨…. For now ህጁም አግል ሸዓብና for those post Y2K who COBOL(ed) not I will share the derivation of 1.618, irrational yet fundamental as Pi Π 3.14, √2 1.414. Double 27 = 54, doubling again 108, double again 216 Arrive at 432Hz. Harmonic A -ritrea E major scale. Palindrom magic square ከም ሻርኔላ CRISPER DNA መፍትሕ may you continue to infect one another with the knowledge virus. Abu AAshera Weapon X – Evolution! You are a Gem as in ወዲዓይኒ ማዓር. We all love you ma bro! And I didn’t know that today was a Pi Day. Happy Pi Day to you! Have you ever heard of Edward O. Wilson? He is world’s foremost expert in ants. In fact, he spent most of his life studying ants. He has written close to 20 great books. I have read some of them, particularly “Consilience.” Still Almost 90, still writes books and articles. Every time I see him nentioned, you come to mind TsaTse Arkey. Check some of the stuff he says if you can. We learn great stuff in this great forum as you have taught us today. Hope everyone gets engaged so that we remain well informed. Thank you again for those kind words. The video is a fantastic idea you will with ease conquer and help others too. Eagerly waiting for your debut. Will for sure subscribe and follow an excellent example(s). That is theoretically true, but in actual fact it is our region that has created new states since the end of the colonial era. There are no new post-colonial countries anywhere else in Africa. One has to go to the post-soviet splinters of USSR and Yugoslavia to see anything even remotely close. I agree we are talking about a post-60s generation phenomena of radicalism. Whether succeeding generations take it up is an open question. I doubt it personally, but EPRDF is betting the constitutional right to national divorce would lessen the actual usage of it. I was actually thinking of the values of “peace and diversity and conflict resolution studies” as serious academic discplines that political leaders should at least get exposed to. Compared to the incredible waste of military and repression, it would be a great investment I think. Imagine if as part of the prerequisite for running for a legislative position, one has to certify that they are at least tangentially aware of some of those ideas. Hi Amde. Please name another country in Africa which has the same level of potential as Ethiopia in terms of producing new statelets? Paradiso Ethiopia is no doubt numero uno in this regard; Zenawisim has had its effects. No sir, you are reading what you want to see – not anything I wrote. I said “our region”. I mentioned South Sudan. I mentioned Somaliland. Neither one of those can be placed at Ethiopia’s feet. And to be fair, no other states have been created out of Ethiopia since EPRDF came to power, so the data does not support the Zenawism or Paradiso comment. Hi Amde. To the contrary, I simply asked a straightforward question which you have interpreted differently. R u kidding ” no other states have been created out of ethiopia after eprdf came to power”? I believe u r a self respecting person and u can have whatever kind of poltical view but eritrea is created in 1993 . and eprdf is proud to make that happen. I don’t know a self respecting person like u came up with this kind of conclusion? And i can guaranty u with this kind of twisting a lie to not offend tplf will be a culture and will lead in a total dismantle of ethiopia sooner or later. Yes sir. Hulu selam but am surprise what i heard from u , need a little explanation . ur comment about awate, u r right. Hush, blink might hear you saying we have history that goes far back. Did you say there was dmt and axum related to current day Eritrean and tigray. You may have drove that man nuts. May God bless you a lot and also blink. I mean no harm blink just having fun. In fact I agreed with Abdulworld about the history and connection of belonging to go back and dig a cemetery for poor souls lost in endless wars. What did you guys do with the colorful Habesha thing? You built nothing, zero positive. Now why shall we go on and on to this disease to kill ourself ? There shall never be a culture that creates a killing disease like Habesha ever on this earth. The culture of Habesha is all about killings and for that I don’t like it . Thanks for sharing the good news. This will count as crucial point on Dr. Abij performance score card. One can presume the intensity of the debate that could have preceded the announcement. Persuading the security and law and order officials might not have been mean job. It is only two months since pm Abiy came to office, and he is accused that he has done nothing, as if it takes just a touch with a magic wand to change everything that have been in place for years. Next in line is the infamous anti-terrorism law, and of course the weird electoral law that gave the eprdf the meto-be-meto, that made the ethiopian parliament an eprdf club. Hi Horizon. PM Abiy seems to be closely following the recommendations of Hermon Cohen, which while predictable, is certainly not bad. However, he has yet to take a hard decision that has not been anticipated. 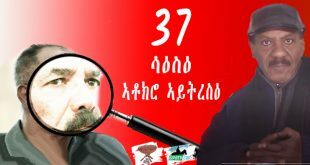 Who from the powerful TPLF ranks has he sacked? He also needs soon to take transparent action in regards to reclamation of land that has for decades been grabbed by both the TPLF in specific and Tigrians in general. If he is able to do this, and maintain relative calm and security in the process, I then hope that he will tackle Badme to allow normalization of relations between Ethiopia and Eritrea to have a real chance. PM-AAA does not need to-do any of the items you listed–likelu including “…will tackle Badme…”. Rather, what he most likely do is “ammend and add policies” wherever/whenever needed. The specific line items will be taken care of by the dynamic process automatically. See what a damage he caused on the PIA’s Ginbot7 “with a symmetric name to PFDJ”–with just one stroke. Hi Mez. Yamamoto’s earlier mission to Addis Ababa and subsequent communications between the U.S. State Department and PM Abiy have hammered on House Resolution 128 and accordant ‘actions’ which the Ethiopian Government must take on a time-bound basis in order to continue to receive U.S. funding and to avoid ‘adverse’ corrective actions. Make no mistake, PM Abiy’s actions are highly manipulated. And yes, Badme will soon be addressed. Dear FishMilk, you believe so. With that slogan you may just delve into “The Heart of Darkness” a la Joseph Conrad (1899). Hope you will go beyond sloganeering though. Trust me there r a lot millions like me but they think u and ur kind r worthless to have attention and a response. You don’t need to agree with anything I say because what matters is as you said the reality. What did Tigray has to offer to Ethiopia? And how is Tigray seen as centrifugal force for Ethiopia to exist ? It is really not easy to find one good example that supports the notion that Tigray “ engine of Ethiopia “ Tigray was and still is all about Military barracks not industrial not agricultural significance in it. I am curious. I think you are one of those few foreigners, who eat and breath the demonization of 1st the Amharas and then the Tigrians. What is your schedule for the Oromo demonization. Is it 6 months or a year, I just wanted to be prepared with all these shifting alliances of your elk is engaging in. BTW: What is in it for you? Unless if u believe tplf =tigrai. In the tradition of talking past each other without any effect, let me ask you a question. I am just wondering aloud. I don’t know, all i know u r here to babysit people like them. Wishing everyone happy weekend, I will begin with my MS size hateta. I am impressed that we have exhausted all the topic of discussions facing our nations and are now beginning to talk about the what ifs………….Tigray is not Ethiopian. As long as we are in the twilight zone, I want to talk about my dream. The nation called the Amhara Republic. I have a dream, that one day…….. I think the Amhara people would fare better if we shake off all these “appendages” that are holding us back. Enough is enough and we have the numbers to pull it off. We have a naturally ready made states of Shoa, Wello, Gonder and Godjam. To avoid quarreling with each other, we will rotate leadership every four years. We will synchronize it with The American presidential election for free publicity, press and the creation of tradition. We are a beautiful people of history and destiny and we shouldn’t be forced in to this kind of abstract “Unity” and dilute our gene pool. One last thing, we the people of Amhara Republic demand that at the United Nations we must be recognized as the only “Ethiopia” in its registry. That is because as soon as we are out Ethiopia, Ethiopia ceases to exist. In order to accomplish this in a peaceful like and constitutional way, we asked for an article 39 decision making conference. There was a meeting of the 9 Killils of the current Ethiopia to decide on the article 39 request of the Amharas. The AFRICAN UNITY hall was rented for this important conference. Every voting member of all the 9 Killils were making their entrance to conference hall. It was notable that the Tigray reps. came in dressed in their traditional white outfits complete with the netela. So did the Amharas. The Oromos and people of the south wore their colorful attire, Gambela was a hit. The final entrance was by the Somali Killil delegation. Both men and women of the Somali Killil came in with a European men style outfit, with a swagger in their steps. They wore a green sports Jacket, yellow shirts and red pants. For emphasis they were wearing blue ties. Hi Kim Hanna. Amazing! Menghistu Haile Mariam claimed to have had the same dream as you; even the part on the puritan gene pool. Was not MHM an Oromo? How could he have had the “same” dream? Maybe, I am missing something. Let him boost his self stem. Hi woldeab. You did miss something. In a developed country such as the U.S.A., they are still struggling with racial problems. In Ethiopia, when one starts talking of gene pool commonalities as a means to identify oneself, they are unfortunately taking racism a step further. In Ethiopia, I would think that it would be beneficial to promote oneness rather than -One Ethiopian being more Ethiopian than another-. I meant no insult towards the Amhara. In fact, I applaud them for their recent stand against the TPLF. Nice weekend treat. Well, dream for an “amhara republic” would be an affordable game were not for inevitable and endless Badime conflicts that would come with it. Thanks for taking time to grace us such light humor. U guys r losing ur mind, what u talking about? U like it or not there is identity called ethiopian u guys been trying to destroy it but it seems like u know u can’t and that is why u lost ur sense. If u believe it or not in reality amara is not just shwa , gojem , wallo and gonder and oromo, goraga and other ethiopians traditions r amara traditions too and the reverse is true too. Deal with it .in reality dr AAA or some other people might call themselves oromo for obvious reason but in reality i have a lot in common with them than let us gadu. ኣንተ ደደብ ዝም ብለህ ኣፍህን ኣትክፈት መጀመርያ ኣቶ ኪም ያለውን በደምብ ተረዳ ከዛ ቦሃላ ኣፍህን ክፈት። Damn! Is the street language still with you ? Still you didn’t improve at all. Long time ago Abrhet adviced you to tweak your insulting words yet it flares out. First it is ayte kim , not ato. And i know u guys don’t know anything better than insult. Forgive u for now but will get back to u. Thanks for the Youtube attachment. I watched the whole thing. This particular peace mostly in Europe was interesting and garbing. I wish, the African Union educational department would gather the unique African boarder issues of every African country and disseminate it so that no one feels alone. First, let me say that, you are one of my fav Awatistas. And of course, glad you’re here. They say, alarm clock is a dream killer. And hope, I don’t nag you into the real world. And of course, genius is born in high and fly as well. That said, your thought provoking take adds to the mood of hypotheticals the forum is riding on these days. Language is such a powerful tool where it transcends the communicating realm and acts as a cohesive factor as well. And that is precisely what Julius Nerere of Tanzania recognized in the 60s and he made Swahili to be spoken in every part of the nation which was part of his “Ujamaa” political agenda. He reasoned, having people speak a single language can strengthen national unity among other things. And it worked! If first was the language, it was G’eeze. And G’eeze gave rise to Tigrait and Amharic and Tigrinya were hatched afterwards. Later on however, Tigrinya found itself in a crisis, say, it went schizophrenic. Part of it said, I want to part ways and part of it said, I rather stick with my first cousin Amharic when Tigrait remained extremely local. Amharic and the other half Tigrinya looked back and realized that, their future can only be determined by what they had in common in the past and in the mean time, the other Tigrinya gambled and went into a denial mode to the extent of reinventing the wheel if you will. And as things stand, some part of it are making noises of reaching back to their long gone twin and first cousin. Hope you’re up. And Happy Sunday! I wholeheartedly nominate you for its premiership. From all what I know and feel from my interactions, readings and my own thinking… the naivest consideration is about Tigray opting to separate. And even further nativity bordering stupidity is the cost benefit analyses (resource is what is being over flagged here) attached to explain what was decided when by Tigray regarding separation/union. Those bringing material resources into the factoring are obsessed with a colonial mindset. Those who are counting the number of trees standing in Tigray today are thinking with a monkey mindset. Some Ethiopian elites have this tendency of forgetting the people themselves and paying attention to what the people own. I think part of the problem that caused the loss of Eritrea was that kind of thinking. Tigray is the engine of Ethiopia. The guy you are adoring told you so. It is so so so ridiculous to entertain and justify the fact that Tigray remains Ethiopia on anything other than Tigray being a core essence of Ethiopia! IT IS LIKE CONTEMPLATING ETHIOPIA CAN WALK AWAY FROM ETHIOPIA. Okay, but it will still be called Ethiopia. The concept of center/periphery has never been about geography or extent of endowments. It is about feeling and sharing the narrative. Tigray has always been the very essence of the Ethiopian narrative. You can compare Tigray and Oromia (geography, size, resource) with the likelihood of entertaining separation to understand this clearly. Let us say and agree tigrai r super ethiopian, ok no problem with that but what did the people of tigrai own ? We know the people of tigrai own tigrai but what else? And what is ethiopia for u? Have u ever lived in ethiopia and see any part of ethiopia oitside tigrai fell mekele ? I have no arguments about the psychological and cultural attachment of Tigrayans to Ethiopia and Ethiopianness. We are just talking about the policy alternatives a specific group – in this case TPLF – had. I believe a strong faction of TPLF intended secession as an end. One can argue the idea of secession proved a dud among Tigrayans, so they dropped/shelved it. One can also argue that the militarily victorious organization was enticed by the benefits (the spoils of war) of being the new center and so decided to instead make the best out of the situation it found itself in. I am comfortable making those assertions about the specific group called TPLF. But not about Tigrayans in general. The typical Tigrayan is no different than the millions of non-Tigrinya speaking Ethiopians. I was hoping the discussion under this topic would be a bit more abstract, about the economic implications of secession in an era when central governments have so much power and involvement in the lives of citizens/subjects. Our region is a target rich environment for such a comparative study (Eritrea, South Sudan, Somaliland). If we are to believe some of the ethnic entrepreneurs (a catchy and useful title I heard an Oromo activist use once to describe the ethnic nationalists), Ethiopia is a veritable hatchery of potential states and statelets. If tigrai separated from ethiopia just like what eritrea did in 1993/1 without sabotaging the rest of ethiopia, what exactly will happen to ethiopia? I say absolutely nothing ,may be ethiopians will be more united and economically gian a lot. i mean am talking about in todays reality and mind set of the people of ethiopia. Even dictator mengistu describe tigrai as nothing but a burden. The income from tigrai is not even enough for “temena”. While he described losing eritrea means as if u lose ur head. 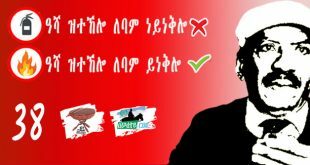 What he said is right or wrong will give u a hint that nothing will happen to ethiopia. Let me first set the record straight. Tplf has a history of existence for 43 or 45 years if the conceiving period was also included. 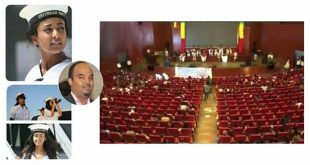 Tplf started its movement with its membership size in tens only, now in 100s of thousands. Of all its it’s existence, 43 yrs, Tplf contemplated of establishing a republic only for shorter than 6 months. Its so called manifesto survived barely half a year. Of all its size, Tplf entertained this when it was in smallest number. Of all the time, Tplf considered the Republic of Tigray as an option in its infant age. It didn’t have any currency among Tigreans and the Tplfites. Nobody in his right mind can really claim that this was a serious charter that was written off at later time because some economic accounting was done in favor of unity. I am not saying economic calculations are taboo when choosing a union or separation. We are simply saying Tigray has always been a centripetal force. And I think it will remain so. On the abstract level, hypothetically speaking, ideally, union is always beneficial. It has so many advantages over the other option. People opt for separation whenever they think they are being wronged or exploited in the union. In all the examples you mentioned (Eri, SS, SL), it is self evident that economically speaking all the three were losers after separation. Would they reconsider their respective decisions because of poor economic gain after separation? I doubt. That is why we are saying it more than the economy stupid! You have put flesh on bones. The point I, and a few others, have tried to underscore past two days has been further elaborated in plausible way. The founding cadres of the TPLF did not take much time to transform their campus radical leftist persuasions to gradual pragmatism as they confronted challenges that maintaining unity of the expansive empire-state with so diverse demographic set joined together by conquest and imperial grandeur on fragile fault lines had posed. Outlooks on social and economic realms had changed to concepts discernible in the framework of social democracy, which after accession to power had been further diluted to market economics guided by developmental state policies. Those ideological changes that were dictated by political expediencies, well as historical imperatives of Tigrai’s relation with Abyssinia proper, had precluded the idea of a republic in Tigrai. My money is on (b). There is a good reason Isayyas started talking about dissolving the borders between Ethiopia and Eritrea barely two years after the conclusion of 30 years of death and destruction to get the hell out. Hi Amde. You are simply wrong on a number of accounts: 1) The Eritrean economy was in fact prospering up until the Ethi-Eri war, 2) The EPLF did enter Addis Ababa in May 1991 and their commanders were ‘guiding’ many decisions of the TPLF thru end 1992, 3) Eritreans including those living in Ethiopia at the time of referendum vote overwhelmingly favored independence, and 4) Talk of PIA dissolving borders is simply taken out of context and misrepresented. I happen to entertain the opposite notion. I do not believe that anything good would have come for ethiopia if eplf ruled ethiopia from addis. Both eplf and tplf had come with hate and hungry for the spoils of war. As the first years showed us the pillage of ethiopia by the two would have been beyond imagination, to which of course ethiopians would have reacted, and the end result could have been chaos and even genocide. How did they plan to create the singapore of the horn? It was mainly by exploiting the backward ethiopia and ethiopians, their labor and resources. In addition, even if they ruled ethiopia, still they would have left when the right time comes, after building eritrea on ethiopia’s back. They had no sentiment for ethiopia whatsoever, and would never have acquired one ever. If the 1998 war did not happen for the different reasons we know and we do not know, and if the west did not remind tplf continuously that it should act as an ethiopian government and not as a surrogate, today ethiopia would have been in a very different situation. Therefore, the only future for both countries is the future of two separate entities living in peace side by side, even if it requires Abi’s wall. Ethiopians and eritreans creating a flower garden together is out of the question. Not now and not with this generation. My comment was a thought experiment, not a judgement on whether it would have been good or bad for Ethiopia. This whole thread has been a funny/sad spectacle of people not reading or misunderstanding what is written. I was trying to say that in our “traditional” political power competition, whoever won became the center, after which they would try to consolidate the empire around them, until such a time a competitor gets on the perch. And the game continues – with each competing political unit somewhat equivalent in terms of resources they need for the game. So the last half of the 1800 has power shift from Gonder to Tigray to Shewa, at roughly the cadence of a generation’s time period of 20ish years. The end of the Eritrean war brought about a new player to the center. 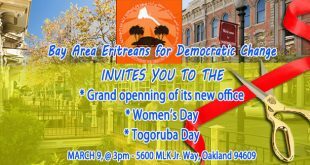 “Legally” and by tradition, Tigray under TPLF was this new center. EPLF felt they had paid the lion’s share in terms of the effort that dethroned Shewa from center. But having declared the goal to be secession, they were a bit locked into a path. And Tigray/TPLF was happy to nudge/push them out. Personally, I believe Isayyas felt EPLF deserved the spoils of defeating Derg. But TPLF was in the way. So the desire to access the spoils of the center, and the desire for secession clashed. Leading to Badme. A while ago I saw excerpts of my long forgotten proposal re sea access bla bla…making rounds in facebooks pages of some tigrayans. The consensus was that it was not a good deal for tigray. I kind of get where they were coming from, but i was a little surprised. Could this attitude be shaped by recent events in Ethiopia (i.e., they lost the center and thus sea access that is not proximal to togray, while obviously good for Ethiopia may not excite tigrayans)? I have to say, these are comments made by ordinary citizens, not policy maker and alike…. Without looking at the context it is hard to say. If I remember your ideas correctly, you were thinking of the construction of an Ethiopian port out of an artificial island (or proto-island) located somewhere between Djibouti and Assab. Ethiopia would agree to a set of concessions to be agrees on, land swaps, water access etc… I hope I am not misremembering. I can assume that even setting aside the “losing the center” idea, some Tigrayans might feel that any swaps and concessions would most likely come out of Tigrayan territory. So it is plausible they would look at it with some suspicion. Do you have a website or facebook page where you are presenting and discussing this idea? It would help. Even if it shows responses from those vehemently opposed, I would imagine you would learn something from it. Actually, you are spot-on. Any land swaps will involve Tigray and that is part of the reason for the hesitation on their part. But, I was still surprised by the reaction which seemed distinguish between interest of tigray and ethiopia. I wonder if they would have the same reaction if they controlled the center. – one group thinks it is not the right time to discuss the issue because 1) we don’t have a gov that represent the people and has the legitimacy to make such consequential decision. 2) such talking points could picked up by gov supporters and easily turned to propaganda material. – A second group is all about bravado and unwillingness to examine the issue deeply and critically. In a way they are like Haile-Silasie. HS never thought he would lose Eritrea so he was not willing to seriously consider plan B. Any time between 1945-1974, there were multiple opportunities for a peaceful solution where Eritrea would be independent and Ethiopia would take portion of denkalia and sea-access (and over decades of mayhem). Even if that was not possible in peaceful manner, as an alternative, HS (and later Derg) could have cut off portions of denkalia and focus all their army in protecting that portion of land, and there would have been nothing elf or eplf could have done about it. I am sure elf/eplf would have been fine to take the rest of Eritrea and forget whatever portion of denkalia HS/Derg decided to keep. But all of these were possibly only if HS/Derg considered it when they were ‘stronger’. I guess they got drank with the power and wanted it all and eventually lost it all. I think the same thing is happening with the second group of Eritreans. Forgive me for the unsolicited response. It has always been a riddle to me why tplf said it fought for eritrean independence more than eritreans themselves, supporting eritrea’s independence was a must to become a tplf member, lobbied so much in the UN, facilitated eritrean referendum within ethiopia, and showed no remorse that eritrea was leaving the union. Any onlooker could have said that there is something fishy here, a hidden purpose. It looked as if it was a silent good riddance. I believe that tplf is against ethio-eritrean rapprochement, a conclusion one might be tempted to draw when one connects the dots. The solution of ethiopia’s sea access will have two consequences: 1) peace, economic integration, generally a friendly sentiment between the two people, and 2) tigray may be forced to leave badme. The first may minimize tplf’s importance, but has no effect on the ordinary tigrayan, and the second may not generally settle with tigrayans who paid all the price for tplf’s policy towards eritrean independence. I think you are a little harsh and has been a little harsh lately on tplf and tigrayans and what they did to Ethiopia. I think you are losing a little perspective. IMHO. It is my belief that the ordinary people (the masses) are never wrong, unjust or mean. The fault always lies with the political elites. The people of tigray therefore are not in any way imaginable my target, for in my opinion they have been used by their elites, the tplf, like so many others. The people of tigray will always have their rightful place with the people of ethiopia. It is tplf that has to change itself. You wrote your comment in little snippets of– I couldn’t fully understand it. Would You please expand on it. it has to do with a proposal that i floated involving land swaps to give eth sea access and eritrea access to permanently flowing fresh water access (abt 50km from eri between djb and asseb, and 25km from djb) + significant money and infrastructure support. the premise is that it would be very expensive (if not possible) for eritrea to defend the fringes of denkalia from ever more desperate eth with ballooning population. asseb remains eritrean because of its emotional significance. Tigray is the engine of Ethiopia? I genuine believe Ethiopia can function fully and move forward without Tigray or Eritrea. The same stuff you say about Tigray they used to say about Ethiopia without Eritrea and Ethiopia is moving forward very well the last 30 years… without Eritrea. I don’t believe Tigray is Engine about Ethiopia. Maybe one of the wheels but definitely not Engine. Let me interject, if I may. -Tigray is, historically, the Core center of the Ethiopian History…. 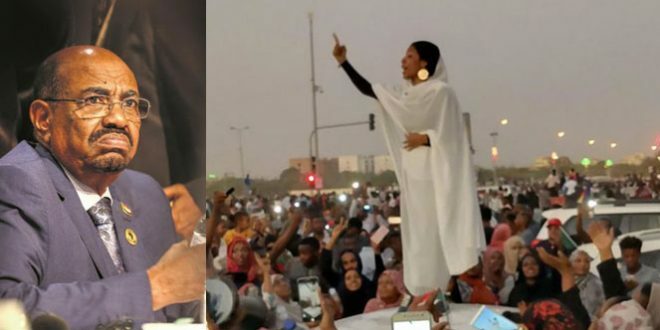 -Tigray and its TPLF are, indeed,the Engine, at least partially, along with Eritrea(THE MAJOR ENGINE) behind the Revolution that brought to an end to the brutal era of the Ethiopian Dictators. I think, this was Dr Abiy’s diplomatic message to the people of Tigray. What you said is true that Tigray never been an engine ,even not a belt of a single motor. Tigrai has nothing to offer while Oromo has it all if we see the reason of 27 years . Tigray as central part of Ethiopia has been all lies . Tigray can stand on its own as a country as any country can . The people of Tigray are not all losers and they can infact own their own country and they don’t need Eritrea or other part of Ethiopia to do that. How many Oromo or Amhara protected Tigrians when their live was destroyed in the past 4 years? How many people do voice their concern about the looting ? Tigray is a 10 million state and with such numbers Tigray can stand to be a country. It is the people who can make things happen not oil not running water . In the 27 EPRDF rule not 1/8 of Tigrians benefit from the TPLF looting game. The people who are eager to listen mengistu hailemariam apologize are no way good to talk about such . Of course we can survive without Tigray, as we did without Eritrea. Frankly, we can survive without any one of us. Please read above the STUPID dream I had. You misunderstood my argument. My argument was (a) general and wasn’t about Eritrea (b) “Industrious” in my argument means “hard working.” So my general argument was, if the hard working Japanese with no natural resources did transform their economy into industrial based of economic development, then why not the hard working Tigrians could not transform their economy into industrial based economy like that of Japan if they opt to secede when they defeat the Derg army? This was in response to the argument that Tigray is not economically viable to split from the rest of Ethiopia. However, there is no Ethiopia without Tigray and the people of Tigray. TPLF understood this historical burdens and have paid heavy price to maintain the unity of Ethiopia. History is on record in this matter. The rest of your comment does not invite debating and are not worth to comment on them. We can always think of if- and if scenario.. I wouldn’t be surprised if Tigray ended-up with same fate as Eritrea in terms of closed and authoritarian government. Remember the model for EPLF/TPLF are photocopy of each other.. The main reason you saw different results between Ethiopia/Eritrea in terms of government and development wasn’t strictly due difference and leadership between those two organization. I believe the main factor was reality on the ground. 1. EPLF were welcomed as saints and unchallenge heros who can’t do any wrong by Eritrean people.. If they took the EPLF route they wouldn’t have lasted more 10 years..
3. So- if Tigray became independent in all likelihood it would end-up as another Albania or Eritrea- Japan analogy I am beginning to believe in African context is not so good.. The Japanese are not only hard-working but they also have something unique which they “Iitoko-Dori” which basically is philosophy borrowing only best from foreign cultures and philosophy. How many Eritreans, Tigrayan, Amhara, Oromo whoever have you met that is going around asking what is stuff we can adopt from Western countries or culture? How did the west make such a leap? “there is no Ethiopia without Tigray and the great people of Tigray.” This sounds more like a propaganda noise. Ethiopia can survive without Tigray or Eritrea. There are 95+ million non-tigran ethiopian and I don’t see why they can’t chart their own course like any other African folks. The western model is not the only option for the path of development. The Asian model was preferred from the western model by the ruling party (EPRDF) leadership. Seeing the economic development in Ethiopia now, one could say the model and its policy paid off for the people of Ethiopia. We have seen its outcome in Singapore, Taiwan, South Korea…etc before even we witness it in Ethiopia. So TPLF do not necessarily need to adopt western culture to develope economically and change the quality of life of the Ethiopian people. Just in case you miss it. The debate was not about “Eritrea and Tigray” rather it was about “Tigray and Ethiopia”. Please re-read the entries of Amde, Ismail, Dr Paulos, and the two entry of mine. More so, read the “excerpts of the discussion” that the publisher compiled it as an article and put it in the front page. You can not dance oddly in that specific debate please. Move with the rhythm. Well it looks like you went to some effort to pull the comments together. Thank you. But I am not sure the title is worthy of the work put into the effort. I propose a title along the lines of “Modernization and the Economics of Secessation” Obviously the other commenters probably have better proposals for title. I am and I am sure the rest of Awatistas share my take when I say, I am glad you are in this forum. Simply because you talk and walk with a lot of class! Thank you Sir! Drinks on me when I see you next time either in Asmara or in Addis. Back to the issue at hand! I think a huge psychological angle is amiss where it weakens the hypothetical where it is implausible for the Front to split from Ethiopia-proper. The Battle and Victory of Adwa has become the emblem of Black Power not to mention a pride of and for Ethiopia among nations of the world. As such, the gravity to pull-in Tigrai towards Ethiopia seems to move in reverse where Ethiopia would have to move towards Tigrai instead. And one suspects, if the young PM had that in mind when he drew the analogy between a car and it’s motor. P.S. Dear Editor, Thank you for putting the comments together so that people can have clarity about the issue at hand. Let me volunteer to sign on behalf of many in this forum and myself with you that we are indeed graced to have Amde and lots of others in this forum. Do you know that I feel as being left behind on current affairs in Ethiopia when Amde for one reason or other absents himself for days? I have developed a kind of habit that lets me wait until I get his views about what goes on irrespective I agree or disagree with his views. I just see carefulness and intellectual integrity in collecting information and composing them to share them with us. God bless him. Moreover, let me also add my gratitude to the moderators for taking the extra burden to interconnect discussions in order to make particular issues meaningful. The question of brother Ismail demands two prong answers. You tried to answer only as to what hardship might Tigray face, if it secede after defeating and disintegrating the Ethiopian army. Could you try to answer what would have been the fate of Ethiopia at that particular historical junction if Tigray would have opted to secede? Take the following factors into account (a) the Ethiopian army was disintegrated without commander in Chief (b) If the long strategy of TPLF and EPLF was for unification Tigray and Eritrea (c) the Oromo liberation front was fighting for their own independence (d) The Ethiopian Somalis had a cause to join with the quest of greater Somli land (e) The Amharas who have not any kind of clout to convince the rest of Ethiopian social groups to form an ideological party from all the rainbow of Ethiopian make ups. Then we shall see whether TPLF had played a “critical role” to unite Ethiopia or not. The Secession of Tigray would have brought unimaginable ramification as to whether the rest of Ethiopia will remain united or not. Be sincere in putting the possible scenario of Ethiopian unity if Tigray would have seceded. I am at work so a lengthier response will have to wait. In any case, the sum total of the hypotheticals would of course be bad for “Ethiopia”. It is pointless to speak of an “Ethiopia” when all of these units have broken off. But those are all theoretical hypotheticals that ignore the necessity of having functioning institutions with organized bureaucracies and more or less reliable revenue sources. A split up would only have multiplied the problems of one state (Ethiopia) into those of the many succeeding states. I am afraid we will get into a circular argument of you stating hypotheticals, and me saying they remain historical hypotheticals precisely because they proved not feasible. Thank you sir Amde. I am looking forward to your lengthy argument. Talking about “feasibilities” we were also told, that Eritrea will not be economically viable to be independent by Ethiopian elites. Just to remind you in case. Sometimes, the economic rationale mislead us in making judgments wether countries could be independent or not. Take An industrialist Japan as an example. It does not have any resources that could help its economy. They did it by transforming their economy into industrial production and become one of the developed countries in the world. So resources are a big factor, but there are always alternatives to the economic challenges as far as the people remains industrious.